UCLA sophomore Lilia Vu is one hot golfer. How hot? Three-wins-in-a-row hot. Vu won the Silverado Showdown in Napa, Calif., a tournament played April 9-11, sharing first place (there was no playoff) with Hannah Kim of Northwestern. Her final round 71 included a birdie on the 15th hole and then a birdie on the final hole to grab co-medalist honors. It's the third consecutive NCAA tournament win for Lilia, whose second-round 63 set a new school 18-hole scoring record. And Vu is just the second UCLA women's golfer ever to win three tournaments in a row (the first was Charlotte Mayorkas). Vu's previous two victories this season were in the Spring Break Classic in Hawaii and UCLA's own Bruin Wave Invitational. 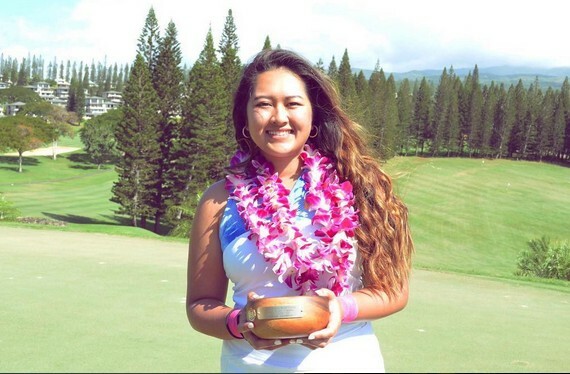 Lilia, from California, is currently ranked 18th in the World Amateur Golf Rankings, but this latest win will surely move her up a few notches. The same is true of Golfweek's college rankings, where Vu is currently sits eighth.